A little over a year ago I posted about a project in the works called Ark Nova, an inflatable, mobile, concert hall, and now, suddenly, it’s a reality. A beautiful one at that. 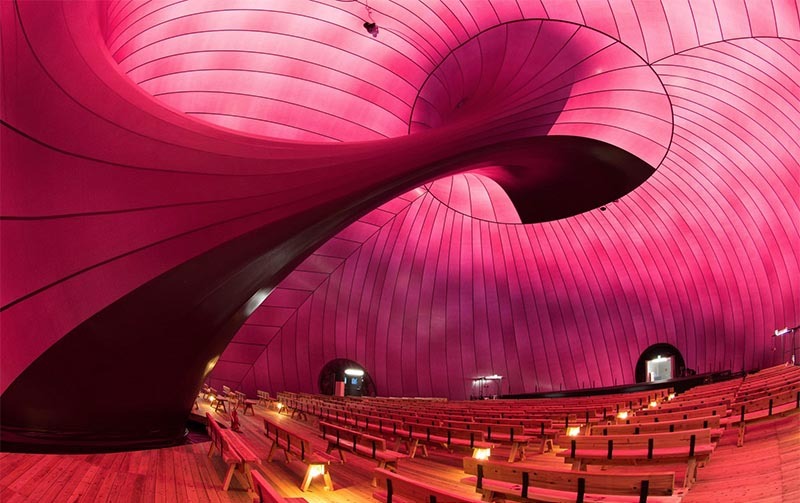 I suppose it’s not surprising when two extremely talented creative professionals—in this case artist Anish Kapoor and architect Arata Isozaki—collaborate along with the Lucerne Festival. 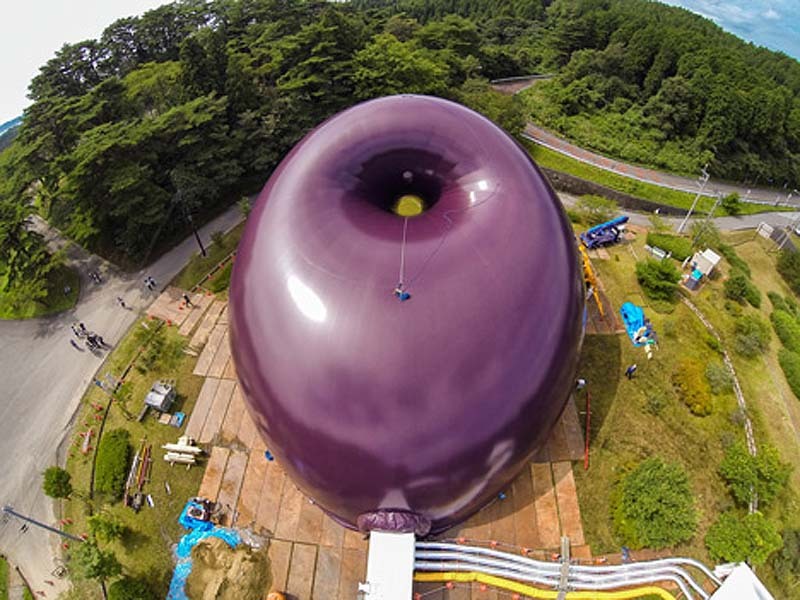 This unique structure made of purple parachute material inflates in approximately two hours and seats 500. Starting October 14th, the theater will open to the public hosting concerts and other events around the tsunami-stricken areas of Japan. Photos courtesy of the Lucerne Festival. This entry was posted in Architecture, Art, Event, Just Plain Cool, Music, Stuff We Like. Bookmark the permalink.